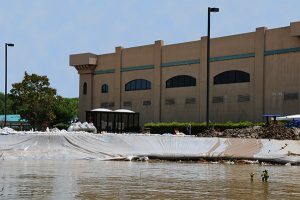 Sometimes weather creates conditions that are so severe, such as torrential rain that leads to flooding, it can result in extensive property damage. Floods and storms can be so strong that there isn’t always something you can do to prevent the damage it will cause. If you reside in Bergen County, NJ, then you’re aware of how this area is prone to high winds, thunderstorms, tornadoes, and even hurricanes. 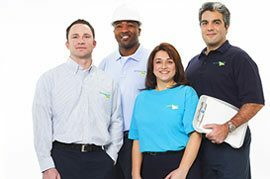 ServiceMaster Restoration by Complete provides homes and businesses in Bergen County, NJ, with flood and storm damage restoration services to help properties get repaired and restored after suffering storm damage. We restore areas damaged by flooding and stabilize and repair any structural damage. When a home or building has been flooded, it can cause severe damage. This is because the excess water will become absorbed by building materials, causing structural concerns. It also provides the perfect conditions for mold growth, which can cause health concerns to you and others in addition to further damage. A lot of times, heavy rain or natural floods cause indoor flooding. Sometimes, though, indoor flooding is caused by overflow, sewage backup, or a burst pipe. Drywall, flooring, insulation, wood, and other building materials are porous, making them vulnerable to severe structural damage. In some cases, the water involved has been contaminated by sewage and other hazardous microorganisms. This not only makes your property unsanitary but may also cause health issues. The technicians we employ at ServiceMaster Restoration by Complete will provide thorough, effective flood damage restoration services. To remove standing water, we use our specialized water extraction equipment. We then use our drying process to remove moisture from affected objects and building materials. Afterwards, we do a complete cleaning and sanitization of the affected area to ensure all dangerous substances have been removed. Homes and businesses in Bergen County, NJ, can experience other severe weather besides flooding. Properties can also experience damage from blizzards, hurricanes, tornadoes, and thunderstorms because of the hail, heavy rain, and wind that might be involved. If your home or business has suffered serious damage by a storm, then you need to act immediately to have it boarded up and stabilized. If your residential or commercial property has been damaged by a storm, then you need to get help immediately. You can reach ServiceMaster Restoration by Complete at (732) 840-3570 at any time of the day. We provide homes and businesses in Bergen County, NJ, with emergency storm damage restoration services.